1 Lagos State University (LASU) admission list is now online and published for all candidates who participated in the admission process to check their admission status in the first batch admission list 2018/2019 academic session. 2 Lagos State University (LASU) 1st Batch pre-Degree Admission List. 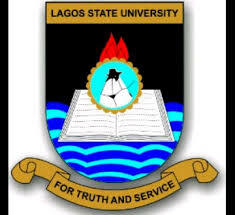 Lagos State University (LASU) admission list is now online and published for all candidates who participated in the admission process to check their admission status in the first batch admission list 2018/2019 academic session. Good news to all the candidates that applied for the Lagos State University (LASU) pre-degree programme admission for the 2018/2019 academic session, the managements has released the first batch that they can now check their admission status online. Lagos State University (LASU) 1st Batch pre-Degree Admission List.